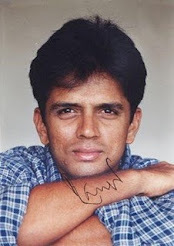 Rahul Dravid's tips for Youngsters. A pretty good advice from Rahul Dravid to all those aspiring cricket players of the country. 'Be it batting,fielding or bowling one has to enjoy what he does' says the Wall.Watch it friends. courtesy: Rajasthan Royals Official Youtube Page. Rahul Dravid and Sachin Tendulkar at Melbourne on their 20th Century partnership stand. Rahul Dravid and Sachin Tendulkar went on to make their 20th Century partnership stand at the second day of Boxing day test at Melbourne.The first to depart was Gautham Gambhir who fell on 3runs caught behind.Virender Sehwag took the attack to the Aussies and looked in fine form untill he fell to Pattison from an inside edge which went on to hit the stumps.Then came Sachin Tendulkar with everything set for his 100th ton, He too looked in fine form and started off with a Six, but fell at the last over of play to P.Siddle.Dravid had his luck as he got an inside edge which went on to hit the stumps of the bowling of Pattison of a No-ball.After Sachin's departure Ishant Sharma came on as a Night Watchman and was not out at Stumps. Play will start tomorrow at 214/3 with Dravid and Ishant Sharma at the crease.India can bat till tea tomorrow and declare and hope to bowl out Australia before the final day and hope to chase the lead by Aussies.We wish the team and Rahul Dravid all the very best. The first test between India and Australia starts today, known to be as the Boxing day test as it is on the Boxing day after Christmas.We wish the Indian team all the very best for the test match. Cricket is a team game, and it is in the partnerships between two players that matches are won or lost. It could be the partnership between two batsmen, or two bowlers bowling in tandem, or a bowler-fielder partnership. Examples of great batting pairs could be Desmond Haynes and Gordon Greenidge, or Rahul Dravid and Sachin Tendulkar. If you think of bowling partnerships, the names of Wasim Akram and Waqar Younis come to mind immediately. Shane Warne and Mark Taylor, Anil Kumble and Rahul Dravid, and Glen McGrath and Ian Healy are some famous bowler-fielder pairs. Rahul Dravid and Yuvraj Singh. as quoted by Sydney Morning Herald. Dravid meanwhile said that he drew inspiration from Sachin Tendulkar to come out from poor form.Sehwag we all agree is a great batsmen, but we would respect if people stop comparing Dravid and Sehwag,Dravid is a match winner in his own right. 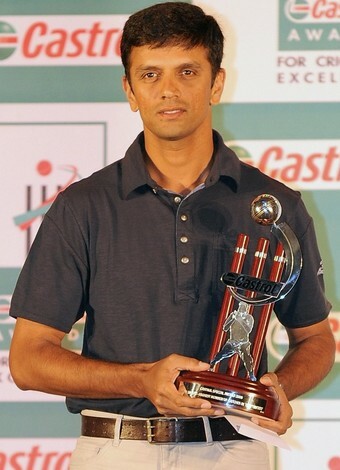 Ever wondered why he is apt for the title 'Gentleman of Cricket' ?, Well here is your answer.Look how humble he is !. Rahul Dravid interview with Star Plus. Rahul Dravid became the first non-australian player to have the honor giving the inaugural speech at Bradman Oration.And went on to give one of the most inspiring speeches of all time.We bring you the text version of Dravid's speech here.This is a must read for every cricket fan.He speaks on everything from the unity among Indian Players to the lack of crowds and differences between three formats of the game. invitation to speak tonight, is deeply appreciated. I realise a very distinguished list of gentlemen have preceded me in the ten years that theBradman Oration has been held. 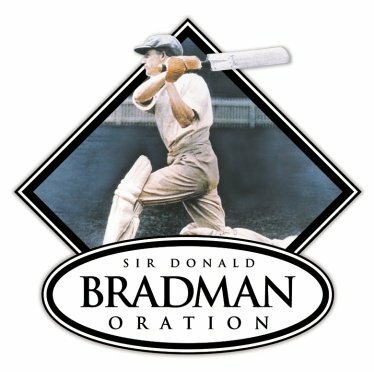 I know that this Oration is held every year to appreciate the life and career of Sir Don Bradman, a great Australian and a great cricketer. I understand that I am supposed to speak about cricket and issues in the game – and I will. Yet, but first before all else, I must say that I find myself humbled by the venue we find ourselves in. Even though there is neither a pitch in sight, nor stumps or bat and balls, as a cricketer, I feel I stand on very sacred ground tonight. meaninglessly, the words 'war', 'battle', 'fight' are used to describe cricket matches. Yes, we cricketers devote the better part of our adult lives to being prepared to perform for our countries, to persist and compete as intensely as we can – and more. This building, however, recognises the men and women who lived out the words – war, battle, fight - for real and then gave it all up for their country, their lives left incomplete, futures extinguished. The people of both our countries are often told that cricket is the one thing that brings Indians and Australians together. That cricket is our single common denominator. India's first Test series as a free country was played against Australia in November 1947, three months after our independence. Yet the histories of our countries are linked together far more deeply than we think and further back in time than 1947. We share something else other than cricket. Before they played the first Test match against each other, Indians and Australians fought wars together, on the same side. In Gallipoli, where, along with the thousands of Australians, over 1300 Indians also lost their lives. campaign, in Burma, in the battle for Singapore. It is however, incongruous, that I, an Indian, happen to be the first cricketer from outside Australia, invited to deliver the the Bradman Oration. I don't say that only because Sir Don once scored a hundred before lunch at Lord's and my 100 at Lord's this year took almost an entire day. But more seriously, Sir Don played just five Tests against India; that was in the first India-Australia series in 1947-48, which was to be his last season at home. He didn't even play in India, and remains the most venerated cricketer in India not to have played there. We know that he set foot in India though, in May 1953, when on his way to England to report on the Ashes for an English newspaper, his plane stopped in Calcutta airport. There were said to be close to a 1000 people waiting to greet him; as you know, he was a very private person and so got into an army jeep and rushed into a barricaded building, annoyed with the airline for having 'breached confidentiality. 'That was all Indians of the time saw of Bradman who remains a mythical figure. For one generation of fans in my country, those who grew up in the 1930s, when India was still under British rule, Bradman represented a cricketing excellence that belonged to somewhere outside England. To a country taking its first steps in Test cricket, that meant something. His success against England at that time was thought of as our personal success. He was striking one for all of us ruled by the common enemy. Or as your country has so poetically called them, the Poms. There are two stories that I thought I should bring to your notice. On June 28, 1930, the day Bradman scored 254 at Lord's against England, was also the day Jawaharlal Nehru was arrested by the police. Nehru was, at the time, one of the most prominent leaders of the Indian independence movement and later, independent India's first Prime Minister. The coincidence of the two events, was noted by a young boy KN Prabhu, who was both nationalist, cricket fan and later became independent India's foremost cricket writer. In the 30s, as Nehru went in and out of jail, Bradman went after the England bowling and for K N Prabhu, became a kind of avenging angel. There's another story I've heard about the day in 1933, when the news reached India that Bradman's record for the highest Test score of 334 had been broken by Wally Hammond. As much as we love our records, they say some Indian fans at the time were not exactly happy. Now, there’s a tale that a few even wanted to wear black bands to mourn the fact that this precious record that belonged to Australia – and by extension, us – had gone back. To an Englishman. We will never know if this is true, if black bands were ever worn, but as journalists sometimes tell me, why let facts get in the way of a good story. My own link with Bradman was much like that of most other Indians – through history books, some old video footage and his wise words. About leaving the game better than you found it. About playing it positively, as Bradman, then a selector, told Richie Benaud before the 1960-61 West Indies tour ofAustralia. Of sending a right message out from cricket to its public. Of players being temporary trustees of a great game. While there may be very little similarity in our records or our strike rates or our fielding – and I can say this only today in front of all of you – I am actually pleased that I share something very important with Sir Don. We're the ones who make life easier for the kings of batting, the middle order that follows us. Bradman did that with a bit more success and style than I did. He dominated bowling attacks and put bums on seats ,if i bat for any length of time I am more likely to bore people to sleep.Still, it is nice to have batted for a long time in a position, whose benchmark is, in fact, the benchmark for batsmanship itself. Before he retired from public life in his 80s, I do know that Bradman watched Sunil Gavaskar's generation play series in Australia. I remember the excitement that went through Indian cricket when we heard the news that Bradman had seen Sachin Tendulkar bat on TV and thought he batted like him. It was more than mere approval, it was as if The great don had finally, passed on his torch. Not to an Aussie or an Englishman or a West Indian. But to one of our own. Whenever an important figure in cricket leaves us, cricket's global community pauses in the midst of contests and debates, to remember what he represented of us, what he stood for and Bradman was the pinnacle. The standard against which all Test batsmen must take guard. The series that followed two days after Bradman's death later went on to become what many believe was one of the greatest in cricket. It is a series, I'd like to believe, he would have enjoyed following. The 2001 series contained high-quality cricket from both sides and had a deep impact on the careers of those who played a part in it. The Australians were near unbeatable in the first half of the new decade, both home and away. As others floundered against them, India became the only team that competed with them on even terms. Now, whenever India and Australia meet, there is expectation and anticipation – and as we get into the next two months of the Border Gavaskar Trophy, players on both sides will want to deliver their best. Well, like a few, creaking Terminators, we're back. Older, wiser and I hope improved. In all seriousness, though, the cricket world is going to stop and watch Australia and India. It is Australia's first chance to defend their supremacy at home following defeat in the 2010 Ashes and a drawn series against New Zealand. It is India's opportunity to prove that the defeat to England in the summer was an aberration that we will bounce back from. If both teams look back to their last 2007-08 series in Australia, they will know that they should have done things a little differently in the Sydney Test. But I think both sides have moved on from there; we've played each other twice in India already and relations between the two teams are much better than they have been as far as I can remember. Thanks to the IPL, Indians and Australians have even shared dressing rooms. Shane Watson's involvement in Rajasthan, Mike Hussey's role with Chennai to mention a few, are greatly appreciated back home. And even Shane Warne likes India now. I really enjoyed played alongside him at Rajasthan last season and can confidently report to you that he is not eating imported baked beans any more. In fact,looking at him, it seems, he is not eating anything. It is often said that cricketers are ambassadors for their country; when there's a match to be won, sometimes we think that is an unreasonable demand. After all, what would career diplomats do if the result of a Test series depended on them, say, walking? But, as ties between India and Australia have strengthened and our contests have become more frequent, we realise that as Indian players, we stand for a vast, varied, often unfathomable and endlessly fascinating country. At the moment, to much of the outside world, Indian cricket represents only two things – money and power. Yes, that aspect of Indian cricket is a part of the whole, but it is not the complete picture. As a player, as a proud and privileged member of the Indian cricket team, I want to say that, this one-dimensional, often cliched image relentlessly repeated, is not what Indian cricket is really all about. I cannot take all of you into the towns and villages our players come from, and introduce you to their families, teachers, coaches, mentors and teammates who made them international cricketers. I cannot take all of you here to India to show you the belief, struggle, effort and sacrifice from hundreds of people that runs through our game. In India, cricket is a buzzing, humming, living entity going through a most remarkable time, like no other in our cricketing history. In this last decade, the Indian team represents more than ever before, the country we come from – of people from vastly different cultures, who speak different languages, follow different religions, belong to all classes of society. I went around our dressing room to work out how many languages could be spoken in there and the number I have arrived at is: 15 including Shona and Akrikaans. Most foreign captains, I think, would baulk at the idea. But, when I led India, I enjoyed it, I marvelled at the range of difference and the ability of people from so many different backgrounds to share a dressing room, to accept, accommodate and respect that difference. In a world growing more insular, that is a precious quality to acquire, because it stays for life and helps you understand people better, understand the significance of the other . Let me tell you one of my favourite stories from my under-19 days, when the India under-19 team played a match against the New Zealand junior team. We had two bowlers in the team, one from the north Indian state of Uttar Pradesh – – he spoke only Hindi, which is usually a link language for players from all over India, ahead even of English. It should have been alright, except the other bowler came from Kerala, in the deep south, and he spoke only the state's regional language, Malayalam. Now even that should have been okay as they were both bowlers and could bowl simultaneous spells. Yet in one game, they happened to come together at the crease. In the dressing room, we were in splits, wondering how they were going to manage the business of a partnership, calling for runs or sharing the strike. Neither man could understand a word of what the other was saying and they were batting together. This could only happen in Indian cricket. Except that these two guys came up with a 100-run partnership. Their common language was cricket and that worked out just fine. The everyday richness of Indian cricket lies right there, not in the news you hear about million-dollar deals and television rights. When I look back over the 25 years I've spent in cricket, I realise two things. First, rather alarmingly, that I am the oldest man in the game, older to even Sachin by three months. More importantly, I realise that Indian cricket actually reflects our country's own growth story during this time. Cricket is so much a part of our national fabric that as India – its economy, society and popular culture – transformed itself, so did our most-loved sport. As players we are appreciative beneficiaries of the financial strength of Indian cricket, but we are more than just mascots of that economic power. The caricature often made of Indian cricket and its cricketers in the rest of the world is that we are pampered superstars. Overpaid, underworked, treated like a cross between royalty and rock stars. Yes, the Indian team has an enormous, emotional following and we do need security when we get around the country as a group. It is also where we make it a point to always try and conduct ourself with composure and dignity. On tour, I must point out, we don't attack fans or do drugs or get into drunken theatrics. And at home, despite what some of you may have heard, we don't live in mansions with swimming pools. The news about the money may well overpower all else, but along with it, our cricket is full of stories the outside world does not see. Television rights generated around Indian cricket, are much talked about. Let me tell you what the television - around those much sought-after rights - has done to our game. As the earnings from Indian cricket have grown, in the past 2 decades, mainly thru television,the BCCI has spread revenues to various pockets in the country and improved where we play.the field is now spread wider than it ever has been,the ground covered by Indian cricket, has shifted . 27 teams compete in our national championship the Ranji Trophy.last season, Rajasthan, a state best known for it's palaces ,fortresses and tourism won the Ranji Trophy title for the first time in it's history .The national one day championship also had a first time winner,in the newly formed state of Jharkand where our captain MS Dhoni comes from . The growth and scale of cricket on our television was the engine of this population shift. Like Bradman was the boy from Bowral, a stream of Indian cricketers now come from what you could call India's outback. Zaheer Khan belongs to the Maharashtra heartland, from a town that didn't have even one proper turf wicket. He could have been an instrumentation engineer but was drawn to cricket through TV and modelled his bowling by practicing in front of the mirror on his cupboard at home, and first bowled with a proper cricket ball at the age of 17. One day out of nowhere, a boy from a village in Gujarat turned up as India's fastest bowler. After Munaf Patel made his debut for India, the road from the nearest railway station to his village had to be improved because journalists and TV crews from the cities kept landing up there. We are delighted that Umesh Yadav didn't become a policeman like he was planning and turned to cricket instead. 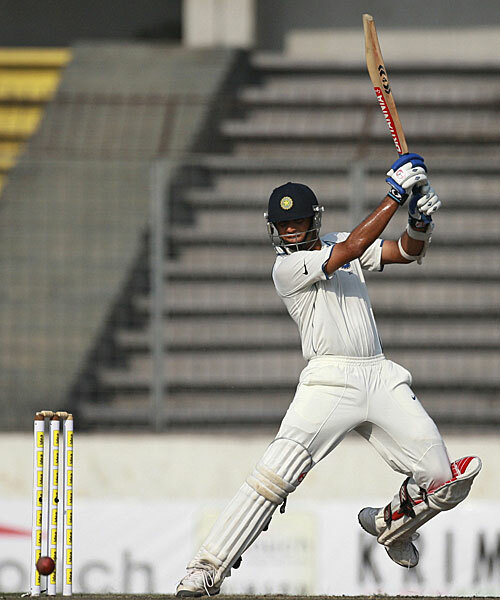 He is the first cricketer from the Central Indian first-class team of Vidarbha to play Test cricket. Virender Sehwag, it shouldn't surprise, you belongs to the wild west just outside Delhi. He had be enrolled in a college which had a good cricket programme and travel 84kms every day by bus to get to practice and matches. Every player in this room wearing an India blazer has a story like this. Here, ladies and gentlemen, is the heart and soul of Indian cricket. Playing for India completely changes our lives. The game has given us a chance to pay back our debt to all those who gave of their time, energy, resources for us to be better cricketers: we can build new homes for our parents, get out siblings married off in style, give our families very comfortable lives. The Indian cricket team is in fact, India itself, in microcosm. A sport that was played first by princes, then their subordinates, then the urban elite, is now a sport played by all of India. Cricket, as my two under-19 teammates proved, is India's most widely-spoken language. Even Indian cinema has its regional favourites; a movie star in the south may not be popular in the north. But a cricketer? Loved everywhere. It is, also, a very tough environment to grow up in - criticism can be severe, responses to victory and defeat extreme, there are invasions of privacy and stones have been thrown at our homes after some defeats. somewhere in India. When people see the Indian bus going by, see some of us sitting with our curtains drawn back, it always amazes me how much they light up. There is an instantaneous smile, directed not just at the player they see – but at the game that we play that, for whatever reason, means something to people's lives. Win or lose, the man on the street will smile and give you a wave. Cricket in India now stands not just for sport, but possibility, hope, opportunities. On our way to the Indian team, we know of so many of our teammates some of whom may have been equally or more talented than those sitting here, who missed out. When I started out, for a young Indian, cricket was the ultimate gamble - all or nothing, no safety nets. No second chances for those without an education or a college degree or second careers. Indian cricket’s wealth now means a wider pool of well paid cricketers even at first-class level. This is the time Indian cricket should be flowering; we are the world champions in the short game, and over the space of the next 12 months should be involved in a tight contest with Australia, South Africa and England to determine which one of us are the world's strongest Test team. Yet I believe this is also a time for introspection within our game, not only in India,but all over the world.we have been given some alerts and responding to them quickly is the smart thing to do. I was surprised a few months ago to see the lack of crowds in an ODI series featuring India. By that I don't mean the lack of full houses, I think it was the sight of empty stands I found somewhat alarming. India played its first one-day international at home in November 1981 when I was nine. Between then and now India have played 227 ODIs at home; the October five-match series against England, was the first time that the grounds have not been full for an ODI featuring the Indian team. The October series against England was the first one at home after India's World Cup win. It was called the 'revenge' series meant to wipe away the memory of a forgettable tour of England. India kept winning every game, and yet the stands did not fill up. Five days after a 5-0 victory, 95,000 turned up to watch the India's first Formula One race. A few weeks later, I played in a Test match against the West Indies in Calcutta, in front of what was the lowest turn out in Eden Gardens’ history. Yes we still wanted to win and our intensity did not dip. But at the end of the day, we are performers, entertainers and we love an audience. The audience amplifies everything you are doing, the bigger the crowd the bigger the occasion, its magnitude, its emotion. When I think about the Eden Gardens crowds this year, I wonder what the famous Calcutta Test of 2001 would have felt like with 50,000 people less watching us. Australia and South Africa ,played an exiting and thrilling test series recently and two great test matches produced some fantastic performances from players of both teams ,but was sadly played in front of sparse crowds. It is not the numbers Test players need, it is the atmosphere of a Test that every player wants to revel in and draw energy from; my first reaction to the lack of crowds for cricket was that there had been a lot of cricket and so perhaps, a certain amount of spectator-fatigue. That is too simplistic a view; it's the easy thing to say but might not be the only thing. The India v England ODI series had no context, because the two countries had played each other in four Tests and five ODIs just a few weeks before. When India and the West Indies played ODIs a month afer that, the grounds were full but this time matches were played in smaller venues that didn’t host too much international cricket. Maybe our clues are all there and we must remain vigilant. Unlike Australia or England, Indian cricket has never had to compete with other sports for a share of revenues, mindspace or crowd attendance at international matches. The lack of crowds may not directly impact on revenues or how important the sport is to Indians, but we do need to accept that there has definitely been a change in temperature over, I think, the last two years. Whatever the reasons are – maybe it is too much cricket or too little by way of comfort for spectators. The fan has sent us a message and we must listen. This is not mere sentimentality. Empty stands do not make for good television. Bad television can lead to a fall in ratings, the fall in ratings will be felt by media planners and advertisers' looking elsewhere. If that happens, it is hard to see television rights around cricket being as sought after as they have always been in the last 15 years. And where does that leave everyone? I'm not trying to be an economist or doomsday prophet – this is just how I see it. Let us not be so satisfied with the present, with deals and finances in hand that we get blindsided. Everything that has given cricket its power and influence in the world of sports has started from that fan in the stadium. They deserve our respect and let us not take them for granted. Disrespecting fans is disrespecting the game. The fans have stood by our game through everything. When we play, we need to think of them. As players, the balance between competitiveness and fairness can be tough but it must be found.If we stand up for the game's basic decencies, it will be far easier to tackle its bigger dangers – whether it is finding short cuts to easy money or being lured by the scourge of spot-fixing and contemplating any involvement with the betting industry. Cricket's financial success means it will face threats from outside the game and keep facing them. The last two decades have proved this over and over again. The internet and modern technology may just end up being a step ahead of every anti-corruption regulation in place in the game. As players, the one way we can stay ahead for the game, is if we are willing to be monitored and regulated closely. Even if it means giving up a little bit of freedom of movement and privacy. If it means undergoing dope tests, let us never say no. If it means undergoing lie-detector tests, let us understand the technology, what purpose it serves and accept it. Now lie-detectors are by no means perfect but they could actually help the innocent clear their names. Similarly, we should not object to having our finances scrutinised if that is what is required. When the first anti-corruption measures were put into place, we did moan a little bit about being accredited and depositing our cell phones with the manager. But now, we must treat it like we do airport security because we know it is for our own good and our own security. Players should be ready to give up a little personal space and personal comfort for this game which has given us so much. If you have nothing to hide, you have nothing to fear. Other sports have borrowed from cricket's anti-corruption measures to set up their own ethical governance programmes and we must take pride in belonging to a sport that is professional and progressive. One of the biggest challenges that the game must respond today, I believe, is charting out a clear roadmap for the three formats. We now realise that the sport's three formats cannot be played in equal numbers – that will only throw scheduling and the true development of players completely off gear. Test cricket is the gold standard, it is the form the players want to play. The 50-over game is the one that had kept cricket's revenues alive for more than three decades now. Twenty20 has come upon us and it is the format people, the fans want to see. Test cricket deserves to be protected, it is what the world's best know they will to be judged by. Where I come from, nation versus nation is what got people interested in cricket in the first place. When I hear the news that a country is playing without some of its best players, I always wonder, what do their fans think? People may not be able to turn up to watch Test cricket but everyone follows the scores. We may not fill 65,000 capacity stadiums for Test matches, but we must actively fight to get as many as we can in, to create a Test match environment that the players and the fans feed off. Anything but the sight of Tests played on empty grounds. For that, we have got to play Test cricket that people can watch. I don't think day-night Tests or a Test championship should be dismissed. In March of last year I played a day-night first-class game in Abu Dhabi for the MCC – and my experience from that was that day-night Tests is an idea seriously worth exploring. There may be some challenges in places where there is dew but the visibility and durability of the pink cricket ball was not an issue. Similarly, a Test championship with every team and player driving themselves to be winners of a sought after title seems like it would have a context to every game. Keeping Test's alive, may mean different innovations in different countries – maybe taking it to smaller cities, playing it in grounds with smaller capacities like New Zealand has thought of doing, maybe reviving some old venues in the West Indies, like the old Recreation Ground in Antigua. When I was around seven years old, I remember my father taking a Friday off so that we could watch three days of Test cricket together. On occasions he couldn't, I would accompany one of his friends, just to soak in a day of Test cricket and watch the drama slowly unfold. environments, the venues they are held in. I am still convinced it can be done, even in our fast-moving world with a short attention span. We will often get told that Test matches don't make financial sense, but no one ever fell love with Test cricket because they wanted to be a businessman. Not everything of value comes at a price. There is a proposal doing the rounds, about scrapping the 50-over game completely . I am not sure I agree with that – I certainly know that the 50-over game helped us innovate strokes in our batting which we were then able to take into Test matches. We all know that the 50-over game has been responsible for improving fielding standards all over the world. That will cut back the number of one-day internationals played every year but at least those matches will have a context. Since about, I think 1985, people have been saying that there is too much meaningless one-day cricket. Maybe it's finally time to do something about it. The Twenty20 game as we know has as many critics as it has supporters in the public. Given that an acceptable strike rate in T20 these days is about 120, I should probably complain about it the most. The crowd and revenue numbers though, tell us that if we don't handle Twenty20 correctly, we may well have more and more private players stepping in to offer not just slices of pie, but maybe even bigger pies themselves. We have Test cricket like we have always had, nation versus nation, but carefully scheduled to attract crowds and planned fairly so that every Test playing country get its fair share of Tests.and playing for a championship or a cup not just a ranking . The 50-overs format focused around on fewer, significant multi-nation ICC events like the Champions trophy and the World cup. In the four-year cycle between World Cups, plan the ODI calendar and devise rankings around these few important events. Anything makes more sense than 7-match ODI series. The best role for Twenty20 is as a domestic competition through official leagues which will make it financially attractive for cricketers. That could also keep cricket viable in countries where it fights for space and attention. Because the game is bigger than us all, we must think way ahead of how it stands today. Where do we want it to be in the year 2020? Or say in 2027, when it will be 150 years since the first Test match was played. If you think about it, cricket has been with us longer than the modern motor car, it existed before modern air travel took off. As much as cricket's revenues are important to its growth, its traditions and its vibrancy are a necessary part of its progress in the future. We shouldn't let either go because we played too much of one format and too little of the other. Professionalism has given cricketers of my generation privileged lives, and we know it, even though often you may often hear us whining about burn-out and travel and the lack of recovery time. Whenever we begin to get into that mindset, it's good to remember a piece of Sachin's conversation with Bradman. Sachin told us that he had asked Sir Don how he had mentally prepared for big games, what his routines were.Sir Don said, that well, before a game, he would go to work and after the game,go back to work. Whenever a cricketer feels a whinge, coming on, that would be good to remember. Before I conclude, I also want to talk briefly about an experience I have often had over the course of my career. It is not to do with individuals or incidents, but one I believe is important to share. I have sometimes found myself in the middle of a big game, standing at slip or even at the non-strikers end and suddenly realised that everything else has vanished. At that moment, all that exists is the contest and the very real sense of the joy that comes from playing the game. It is an almost meditative experience where you reconnect with the game just like you did years ago, when you first began. When you hit your first boundary, took the first catch, scored your first century, or were involved in a big victory. It lasts for a very fleeting passage of time, but it is a very precious instant and every cricketer should hang on to it. I know it is utterly fanciful to expect professional cricketers to play the game like amateurs; but the trick I believe is taking the spirit of the amateur – of discovery, of learning, of pure joy, of playing by the rules – into our profession. Taking it to practice or play, even when there's an epidemic of white-line fever breaking out all over the field. In every cricketer there lies a competitor who hates losing and yes, winning matters. But it is not the only thing that matters when you play cricket. How it is played is as important for every member of every team because every game we play leaves a footprint in cricket's history. We must never forget that. fielding, appealing, celebration, dissent, argument. In the players of 2027, we will see a reflection of this time and of ourselves and it had better not annoy or anguish us 50 year-olds. As the game's custodians, it is important we are not tempted by the short-term gains of the backward step. We can be remembered for being the generation that could take the giant stride. Thank you for the invitation to address all of you tonight and your attention." India's Test match specialist's Rahul Dravid, VVS Laxman and Sachin Tendulkar will soon be leaving for Australia ahead of the tour to get adjusted to the conditions and the bounce in the Australian tracks.Meanwhile the India-West Indies ODI series would be happening at India.The first warmup match for the Indian team is all set to start on 15th December.The first test match would start from 26th december to 30th december.Ishant Sharma and Pragyan Ojha will also be leaving along with them.They are set to leave either on December 8th or on December 10th after the BCCI awards function.